Get your ear plugs ready and prepare to be amazed. Actually, no. Get your headphones ready–but trust us when we say, use caution as you turn up the volume. Watch (but mostly listen) as Hennessey once again transforms an already impressive sports car, into an all-out monster. This is Ford Mustang GT350R with the Hennessey HPE850 package. Don’t let all of the numbers and letters confuse you. This is a very simple name for an ultra-savage automobile. HPE850 represents 850 horsepower from Hennessey Performance Engineering. We love the Shelby GT350/GT350R in its stock form, so when we heard that Hennessey was making tweaks to its high-revving naturally aspirated character, we were a bit concerned. 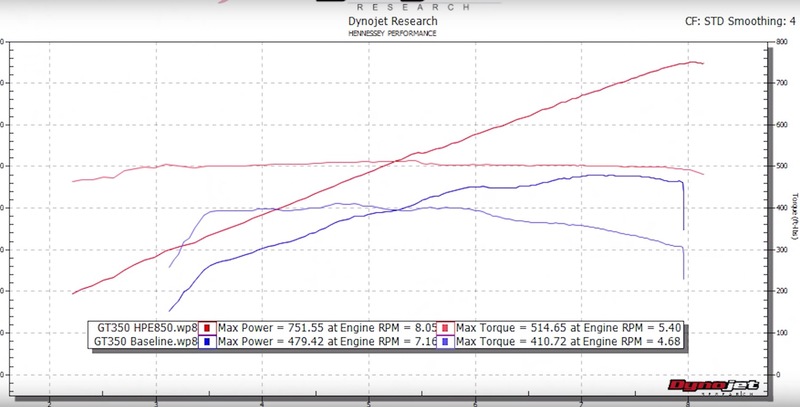 Our concerns faded in just over a minute as we watched and listened to the Hennessey GT350R HPE850 rip through a dyno pull. 673 lb-ft of torque at 4,600 rpm. When launched properly, the HPE850 Ford Mustang GT350R will do 0 to 60 mph in 3.3 seconds and run the 1/4 mile in 10.8 seconds at 133 mph. Hennessey is able to deliver these performance figures thanks to a 2.9-liter supercharger running approximately seven pounds of boost. That, plus a high-flow throttle body, high-flow fuel injectors, high-flow air induction system, and an upgraded fuel pump. The package is professionally installed by Hennessey and also includes new gaskets and fluids, a specific serial numbered plaque inside, and exterior badging so that everyone knows what you got under the hood. Strapping a supercharger to an already excellent sports car sounds good to us, but what about the risks to the health of the car? The folks at Hennessey aren’t worried. 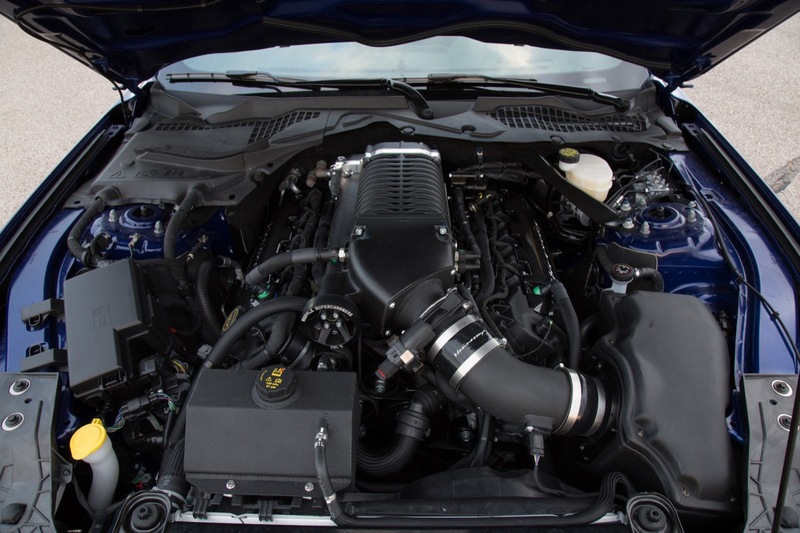 They include a 2 yr/24,000 mile limited warranty with the purchase of every Hennessey GT350R HPE850 package. The new 2020 Shelby GT500 seems great on paper, but this Hennessey GT350R HPE850 is something you can have right now. Hennessey told us that the package will cost $24,500 installed. Oh, and while Ford won’t tells us exactly how much power the new Shelby has, we know it won’t come close to this HPE850 GT350R. Subscribe to Ford Authority for more Mustang news delivered directly to your inbox. Thats fantastic! Hennessy took a track monster removed structural rigidity and added a blower. That is not the formula for a track purposefully built car.